At an event Tuesday in Washington, D.C., Microsoft proposed using the technology it helped develop as a cornerstone of an effort to connect the 23.4 million Americans in rural areas who lack high-speed internet access. Microsoft is proposing a $10 billion effort to bring broadband internet to the rural U.S., an economic-development program aimed at a core constituency of the Trump administration. The plan, which calls for corporate and government cash, relies on nascent television “white-space” technology, which sends internet data over unused broadcast frequencies set aside for television channels. As its part of the effort, Microsoft will set up a program that, in partnership with internet providers, aims to connect two million people by 2022, Microsoft President Brad Smith said. He called for a push by business and governments to reach the rest of the nation during that same period, a task the company estimates could cost about $10 billion, depending on which technologies are used. “One thing we’ve concluded is just how important broadband is for all kinds of things,” Smith said in an interview ahead of the announcement. His speech Tuesday was designed to raise the profile of the TV white-space technology, in which base stations tap into a database, ask what television spectrum is unused in the area (the “white space”), and send broadband data to customers using that frequency. Smith also hopes to pitch the value of Microsoft’s guidance as the Republican-held White House and Congress lay the groundwork for an infrastructure bill in coming months. White House officials were expected to attend Microsoft’s event, held at a hotel a few blocks from the White House, Smith said. Meanwhile, Federal Communications Commission (FCC) Chairman Ajit Pai traveled to southern Virginia to visit a pilot project demonstrating Microsoft’s technology. Smith’s proposal calls for a five-year program of corporate investment and matching federal and state grants to end the gap between rural and urban access, starting with the company’s own efforts. 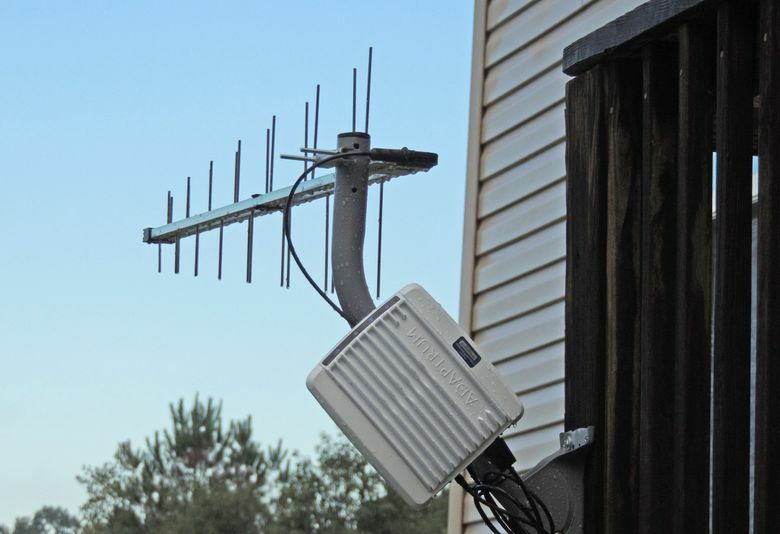 Microsoft’s new Rural Airband Initiative will aim to have projects to deploy white-space internet with telecommunications industry partners up and running in 12 states by next year, a plan designed to connect 2 million people over the next five years. Microsoft will provide the technology and invest the cash to expand coverage, Smith said. That sum will be repaid by collecting a share of future service revenue, and will subsequently be spent on additional projects. For other interested companies, Microsoft is offering the use of 39 of its white-space patents to implement their own projects. It’s unclear whether others will follow Microsoft’s lead. Google and Facebook are both plugging away at research projects to build global aerial networks to bring broadband to places without internet access. Much of Microsoft’s pitch is that the technology it recommends is cheaper than other alternatives available today. Connecting people using TV white-space technology would cost between $10 billion and $15 billion, according to a Microsoft-commissioned study by the Boston Consulting Group. The use of satellite connections where density slips too low for even white-space broadcasting could shave $2 billion off the cost, the study estimates. Using 4G wireless networks to achieve the same goal would cost $15 billion to $25 billion, the study estimates. Deployment of fiber-optic cable would cost $45 billion to $65 billion. Companies and researchers have been experimenting with white-space technologies for more than a decade. Investment ramped up following 2008 FCC regulations that pushed for more efficient use of the wave spectrum that carries everything from TV and radio broadcasts to smartphone data packets and commercial-airline communications. Unused TV spectrum has a few advantages that make it well placed for rural areas, Microsoft says. Television signals travel four times the distance of Wi-Fi, translating to 16 times the coverage area for broadcast towers beaming in all directions. TV signals also are better able to pass through obstacles like hills and walls. And rural areas tend to have more unused TV channels ripe for internet traffic than do cities. 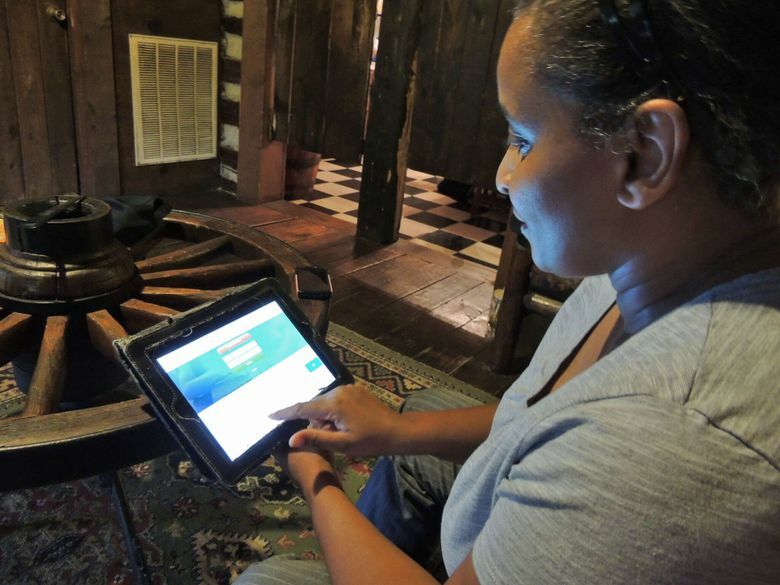 Microsoft has extensively tested the technology, running 20 pilot efforts and connecting about 185,000 people. The experiments had primarily targeted the developing world, whether stretching internet connectivity to corners of Africa that lacked it before or trying out white-space towers for disaster relief in the Philippines. But as of Tuesday, Microsoft’s focus with the technology shifted to the U.S., which Smith acknowledged is partly a result of issues raised by Donald Trump’s win in November. “In all honesty, the election did provide a wake-up call for all of us in the country to think about the role of rural counties,” he said. Some major providers of broadband and wireless coverage are reluctant to extend their networks into rural areas, preferring the more lucrative and cost-effective business of building in cities. Federal and state governments in recent years have tried to use tax breaks and other incentives to bridge that gap, often in partnership with regional or small-scale providers. Microsoft chipped in, contributing to a partially grant-funded project that, for $1 million, is expected to connect 1,000 households to high-speed internet powered by TV white-space technology. FCC Commissioner Pai is expected to see the progress toward that goal firsthand on Tuesday, Deriso said. Microsoft’s next experiments will be larger. “We have not seen the market or the public sector really effectively fill this gap,” Smith said.